Whether you know exactly what kind of culture you want your company to embody or you haven’t given it much thought before, now is the time to put your company culture under the microscope. Every company can benefit from being more intentional about its culture and from examining new ways to integrate its culture into every part of the organization. Every company has a culture, whether they know it or not. Culture is defined by how a company operates, how it treats its employees and how its employees treat the company in return. When culture aligns with the company’s mission and vision, the result is increased employee performance and retention, innovative solutions, and higher profit margins. More work gets done, and everyone from the receptionist through the CEO enjoys their work more. But company culture needs to be tended to and directed continuously. It is not enough to hold meetings to decide what your culture will be, or even to implement policies to enforce the culture, and then forget culture altogether. Remember, company culture is a living, evolving thing which will develop over time. If you do not direct its course then it may well stray from your original vision, affecting every part of your company. If you neglect company culture, it can become toxic, encouraging harassment and infighting, stifling collaboration and causing high turnover rates. First you need to determine what kind of culture you want your company to embody, based largely on your mission/vision. Next you should examine each process, policy, and promotion and make sure they align with that culture. Finally, you should regularly review whether your current goals, methods, and employees reflect your culture and make sure that you are on the right track. The hard truth is that your company’s mission and vision are meaningless without employee buy-in. Luckily, there is an easy way to get employee buy-in: put your mission and vision back into the heart of everything that you do. And, more importantly, give employees ownership over your mission and vision. Seek feedback at every level and empower team members to define how their work contributes to the mission/vision. Provide opportunities for employees to take on new projects that they see as working towards the mission and vision and put the mission/vision at the heart of review and meeting processes. Another important component of employee buy-in is transparency. Keep your employees up to date on company goals, how those goals contribute to the mission, and how their work ties into those goals. That way new product launches, sales targets, and marketing campaigns will start being part of a bigger picture rather than the means to raise profits. And if you hold everyone in the organization, including managers and c-suite executives, accountable to the mission/vision then you will foster an even deeper culture of shared values and efforts towards a common goal. Culture is not just the result of policies and practices: it is also defined by people. Who you hire and who you put in positions of power says a lot about what you stand for as a company. Also, your managers will be the standard bearers for your culture and how it defines their team’s operations. 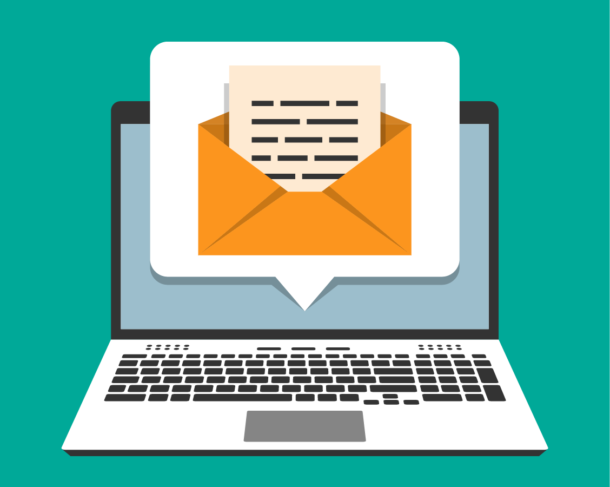 Make sure that your advancement policies match the culture that you are trying to promote. If you encourage your employees to take ownership over the company mission/vision and culture, but do not provide opportunities for upward mobility, then your message will come across as hollow and disingenuous. But if you reward hard work and cultural buy-in with genuine advancement opportunities, then you will be a lot closer to having an authentic and organic company culture. It is also important to be strategic in who you hire or promote. How you treat all your employees is crucial to your culture. Keep in mind that when you bring someone on or promote them, you send a clear message to the rest of the organization that they represent what you value. This means that you should make sure that your practices make everyone in your company feel valued and that you should hire and promote people who reflect the culture that you are trying to create. It is also important to promote people who buy into the company culture because your managers are your front line in creating and maintaining an intentional culture that permeates everything that your company does. Providing meaningful work is perhaps the greatest challenge facing modern employers. Millennial workers in particular prioritize meaningful work over pay. They aren’t staying at their jobs for nearly as long as employees used to. Instead they are always looking for the next, most exciting opportunity. If all your company is offering them is a paycheck, your employees won’t be motivated to excel and you can’t expect to keep talent around for long. The good news is that putting your culture, mission, and vision at the heart your company will do wonders for your employee performance and retention because it will make the work meaningful. Research by Deloitte found that 73% of employees that believe that they work at a purpose driven organization are engaged with their work, versus 23% who do not. Employees can see how their work contributes to the goals of the company and can take ownership over the success of a shared venture, with a common culture. Managers will not have to assert that their team’s work is important, it will be clear to everyone. How you treat your employees says a lot about your company and is a major component of company culture. One of the most direct ways that you can align your employee policies with the culture that you want to create is through your benefits package. Benefits are an opportunity to show your employees that they are more than a cog in a corporate machine and will help them buy into your culture, mission, and vision. Vacation time, in-office perks, parental leave, and insurance are all ways to give back to employees and make them feel like a valued part of a community with a shared culture and mutual goals. But, more of everything is not necessarily the right answer. Instead, the benefits package should be strategically tailored to your particular company culture. Think about what values are at the heart of your intentional culture and choose the benefits that match it. Take, for example, stereotypical silicon valley tech companies have a culture in which work is life, but is also supposed to be fun. They provide all of the amenities employees might need, from meals and showers to pool tables and beer on tap. By and large they successfully foster a culture in which their employees lives truly do revolve around the office; never just working but never entirely off the clock, either. That approach works because it is in line with the culture that the companies espouse through every level of their organizations, but it does not work with every culture. For example, if your company is all about hard work but respect for employee time, then maybe skip the ping pong table and opt for a flexible vacation policy. Bring intentionality to your company culture. Clearly define the culture you want to create and examine how that culture can be integrated into every part of the company. Make sure to get employee buy-in to the company mission/vision by giving them joint ownership of them. When employees define the reality and success of the mission and vision, they become invested in the company’s well-being and the continuation of its culture. Who you hire and promote defines what you value and who will be in charge of maintaining your culture. A vibrant, transparent culture creates meaningful work for all of your employees, driving performance and retention. Shape your benefits package to reflect your company culture. Choose the benefits that reflect your values and demonstrate to employees how much you value them. By now it should be clear why developing an intentional culture is so important and what areas of your company you need to focus on to accomplish it. But creating a great culture is a massive task, where do you even get started? 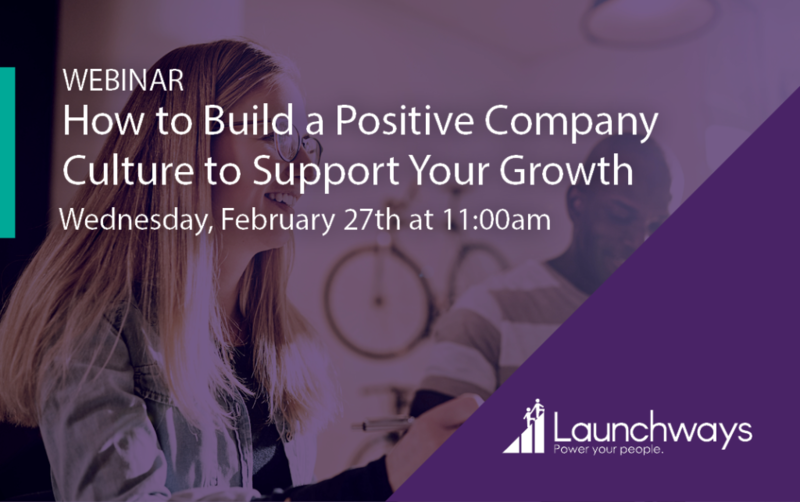 Well, luckily a fantastic group of panelists will help you chart your course to a positive company culture in our upcoming webinar.